Do you want to be a part of the world’s one of the longest festivals, lasting for about a month, packed with cultural and social extravaganza? Then, plan a visit to the ancient city Madurai, in the South Indian state Tamil Nadu. The city is also acclaimed as the Sleepless City. The entire city wears a festive look as soon as the month of April begins welcoming the spring season with a grand festival called “Chithirai Thiruvizha”. The festival is recorded to be one of the longest festivals in the world celebrated for almost a month attracting thousands of devotees and travellers to the city every day throughout this festival. 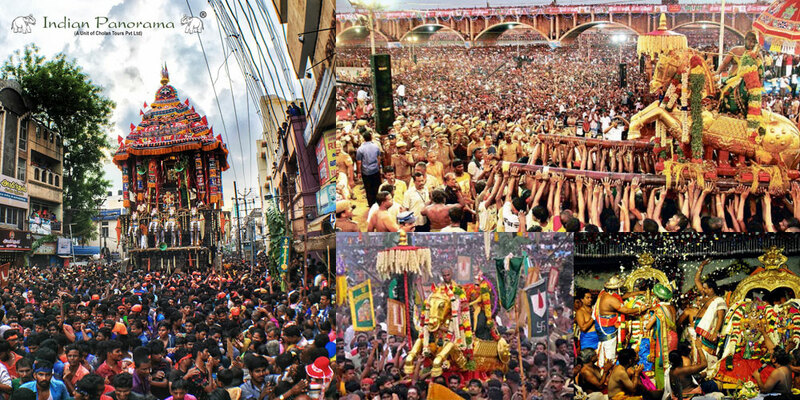 The epicentre of this Chithirai Festval is the Madurai Meenakshi Amman Temple. This temple is geographically located at the exact centre of the city and to the surprise of today’s technology, the entire city has been built around this temple crossing through several precincts built in the shape of perfect squares. Goddess Meenakshi Amman is the queen of this city ruling with her consort Lord Sundareswarar. The temple is considered to be one of the grandest architectures in India with around 33,000 sculptures, an awe-inspiring efforts by the ancestors. Madurai has also one more aspect to its credit that, it has one of longing surviving civilizations in the world, still beholding its tradition and heritage in all walks of life of city’s residents and Chithirai Thiruvizha is one such festival, celebrated as a testimony to the long lasting legendary events referred to have been taken place in this city. 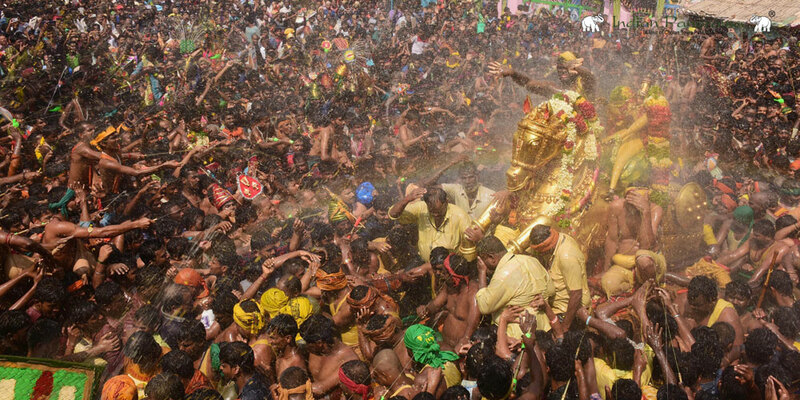 The Chithirai Festival in Madurai is one of the largest and longest gatherings which is even compared to the Kumbhamela of the North, the grandest religious gathering in the whole world. More than a million people from all over the country and abroad fly to Madurai to take part in this festival, enjoy and offer their prayers to the Lord Alagar, Lord Sundareeswarar and Goddess Meenakshi. First, let me tell you why it is celebrated? It was actually celebrated as Alagar Festival in Alagar Kovil at Sholavandan. It is a small village 20 km away from Madurai while the Meenakshi Festival was celebrated in Madurai. Also, unlike the Chithirai Festival at Madurai, the Meenakshi Festival was celebrated during the month of Masi rather than the month of Chithirai. During the same period, a dispute broke out between the Vaishnavas [Lord Vishnu followers] and Shaivites [Lord Shiva followers] over whose lord is the supreme. It was then the Nayakars who ruled Madurai from 15th century till 18th century came up with an idea of celebrating the two festivals on the same day to settle the dispute and unite the Vaishnavas and Shaivites. Since then the Chithirai Festival is celebrated in a grand fashion at Madurai. Now the festival is celebrated every year on the Tamil month of Chithirai which falls in April. Let us go through the interesting legend behind the Tirukalyanam or the holy wedding of Goddess Meenakshi and Lord Sundareeswarar [Shiva]. It so happened that the Madurai King Malayadhwaja and Kanchanamala, his wife, were not able to give birth to a child. He then conducted various Vedic Yagams in order to please the gods and bless them with a child who would be their heir to the throne. To their surprise, a baby girl with three breasts emerged from the fire. The king was depressed that he wasn’t blessed with a son and then they heard the voice of Lord Shiva. Shiva asks them to name her Thadathagai and bring her up with all the talents necessary to rule a country. Shiva also told them that once she meets her match [Husband], her third breast would naturally be absorbed back into her body. The king as per Lord Shiva’s instruction treated Thadathagai educating her with all the skill sets required to become a ruler and taught her all aspects of war and weaponry. The girl grew to be a fearsome warrior and declared war against the whole world. She kept on defeating every kingdom and progressed until she reached Mount Kailash, the heavenly abode of Lord Shiva. The moment her eyes fell upon Lord Shiva, her third breast vanished. She found her better half. She fell in love. Lord Shiva asked Meenakshi [Thadathangai] to go back to her kingdom and promised her he would come to Madurai for the marriage after eight days. He kept his word and the wedding was celebrated in a grand fashion at Madurai. Lord Alagar [God Vishnu] himself gives Meenakshi to Lord Shiva. 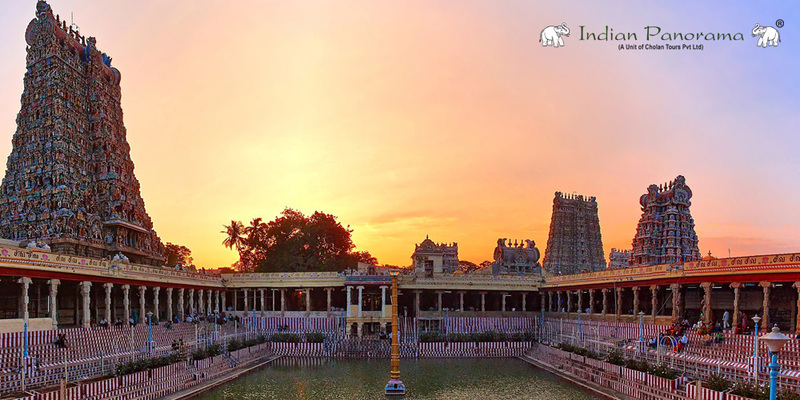 Yetram– This is the flag hoisting ceremony done by the Chief Priest of the Madurai Meenakshi Temple. It marks the commencement of the month-long festival, the Chithirai Festival of Madurai. 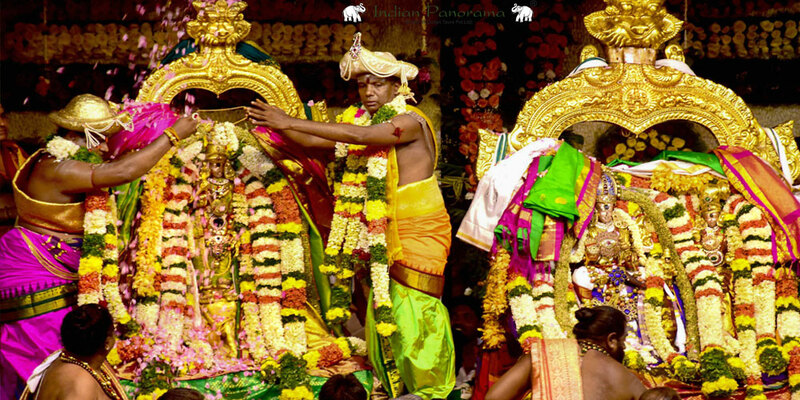 Pattabishekam– This is the crowning ceremony of the Goddess Meenakshi as the queen of Madurai. Dikvijayam– Goddess Meenakshi declared war and set off her quest to conquer the world. While she reached Kailasam on the Himalayas after successfully conquering every realm, she met Shiva and immediately fell in love with him. She realised Shiva is her better half. Meenakshi Tirukalyanam- The divine wedding of Lord Sundareswarar and Goddess Meenakshi. Ther Thiruvizha- The occasion when the King Sundareeswara and Queen Meenakshi are carried on a royal chariot to meet their citizens. Etir Sevai- This marks the visit of Lord Alagar to the Madurai City and the whole city of Madurai welcome him. Alagar Vaigai Elenthuarulal- Lord Alagar gets late for the holy wedding but presents his gifts to the couple and leaves Madurai. Devotees observe a 1 month fast preparing themselves to offer prayers to the Gods. The festival sees people arriving on Bullock Carts which is their tradition and has been followed for hundreds of years. They then proceed to the temple accompanied by Thakil Melam [percussion] and other traditional Tamil musical instruments. People stay awake every night and enjoy the moment. They sing they dance; they completely forget themselves and celebrate. 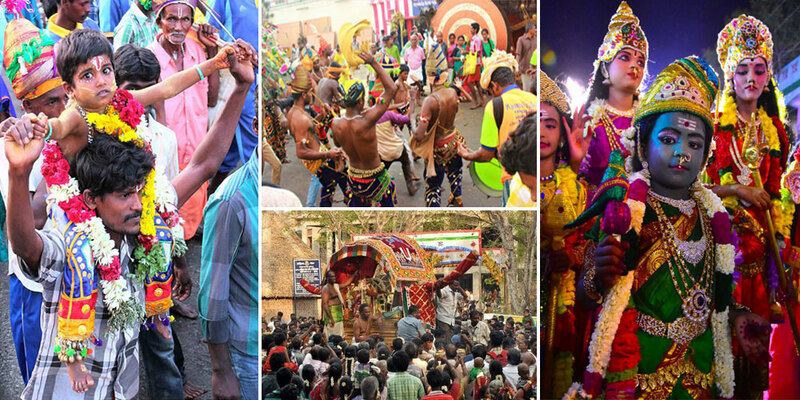 The Chithirai Festival in Madurai justifies the title Madurai acquired – “The city that never sleeps”. Sleepless nights, music, dance, pomp and splendor, you are in for a treat here at Madurai. This is the time when people are not separated by caste, creed or gender. There is no one rich and no one poor. That’s why the Madurai Chithirai Festival is never regarded as a religious gathering, rather it is an auspicious occasion when everybody unites and take pleasure in celebrating the marriage of their Lord Sundareeswarar and Goddess Meenakshi. It spreads a message of love and peace and moreover it signifies communal harmony in India. If you have any plans to visit Madurai, it is highly recommended you to make it during the Chithirai Festival. You would be thoroughly entertained every single moment of it. Indian Panorama will help you to plan your customized holiday Trip to Tamilnadu to witness this fabulous event. Book your tour with us and leave rest to us. 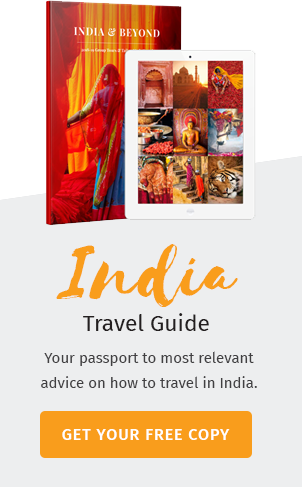 Pack your bags and start exploring India!